An explosion at a Dayton Power and Light plant in Adams County, OH, left six people injured. An explosion at a Dayton Power and Light plant in Adams County, OH, left six people injured Tuesday. The explosion prompted a massive response and evacuation. Officials with the plant said an investigation is now underway to determine what happened. Workers and people who live near the DP&L plant, J.M. Stuart Generating Station, are grateful no one is dead as they try to figure out what caused the ground-shaking explosion that could be heard and felt for miles. DP&L officials said six people ended up treated for injuries described as non-life-threatening and everyone was accounted for following the explosion. An employee who wished to remain anonymous at the coal and diesel generator facility said the explosion happened in Unit One. He described the area as a warehouse in which equipment and a turbine, which he believes was the source of the explosion, remained stored. At least 300 people work at the plant. Hundreds were sent home, according to an employee at the plant. 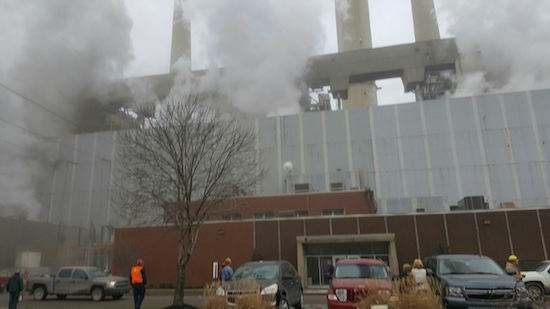 “The plant was evacuated and preliminary reports have accounted for all DP&L employees and contractors,” said Mary Kabel, a spokesperson for Dayton Power & Light. The details surrounding the explosion are unknown, but officials said they are looking into the generator as a possible source of the explosion, Kabel said. DP&L officials said the plant is closed for now. They said they’ll be assessing the facility and completing a full investigation before restoring operations. At this point, officials could not provide a timetable for when operations would be restored.